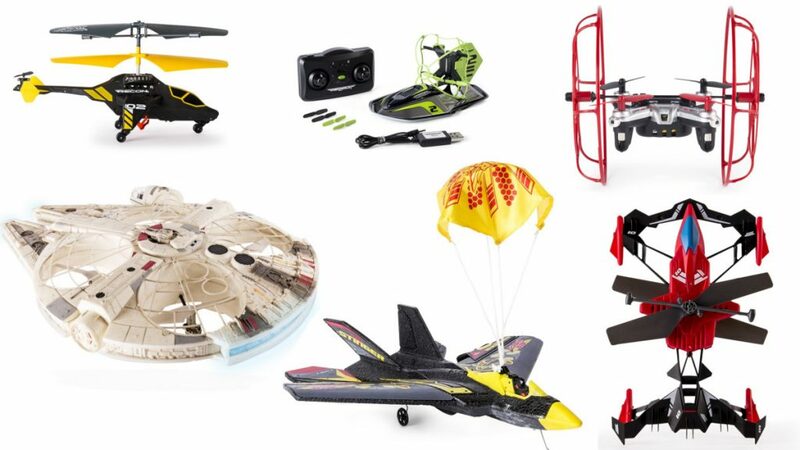 One of the largest manufacturers of drones around is not one we talk about very often; They build mostly toys, but Air Hogs has a huge catalog of drones in all shapes and sizes. Producing toy-class machines, Air Hogs sells a number of quadcopters, some odd-ball designed fliers, airplanes and more. Most Air Hogs drones are built of light-weight foam, offer very little in terms of advanced flight capabilities and rarely exceed $100. Actually, they rarely exceed $43. 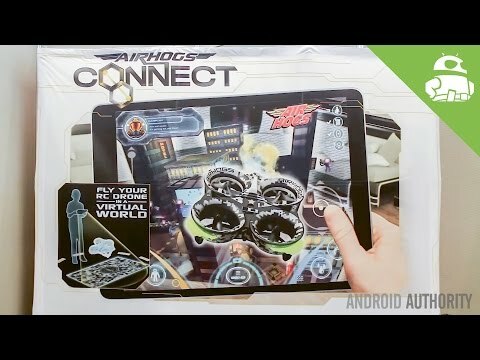 Before we go much further, let me be completely clear, almost all Air Hogs drones are toy-class machines that do not have flight assist. Although very fun to fly, do not expect stable flight or self-piloted hover. If you are looking to get into the world of drone photography, we know of no Air Hogs drone that can keep up with a purpose built camera drone. These machines start around the $500 mark, with our most recommended machine clicking in at $1000. Professionals start at around $1500 and go up from there. Air Hogs keeps their machines low cost, compromises must be made. On the flip side of all this, Air Hogs drones are some of the most fun you’ll have flying. They are not afraid to tackle very unique craft designs, and they benefit from licensing deals from some big names. 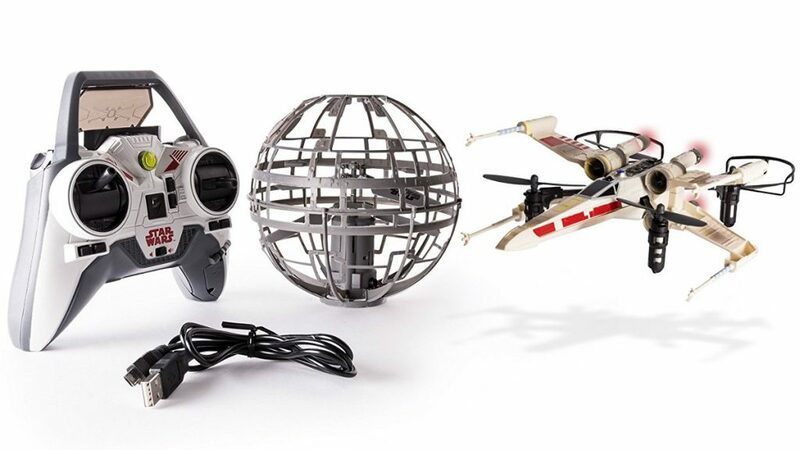 As you’ll see, Air Hogs has the biggest selection of Star Wars, Star Trek and Batman drones around, to name a few. Being made of foam, the cost is low, the machines are very light and fairly resilient. All good things. However, a foam aircraft is a foam aircraft. You may never damage it crashing to the ground in a hard landing, but it will certainly snap if you accidentally sit on it. If that sounds like a random possibility, I suspect you do not have children that you drive to a park to fly. Those parents understand me – stow it in the trunk. Enough talk, let’s see a few alternative drone lists you could look at if foam is not the answer for you, explore some safety and get on with today’s list. Please note: there are many, many drones from Air Hogs, we will explore some of the best, or just our favorites, here today. 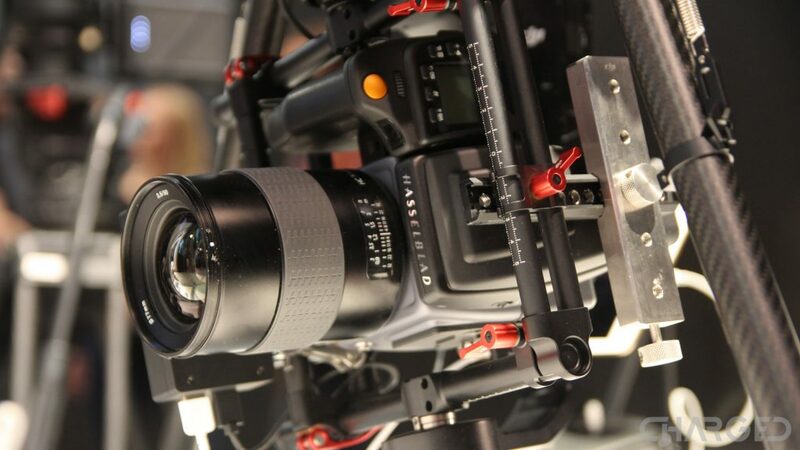 Most of their machines offer the same basic flight components and characteristics, leaving you to decide on design. More than just a drone, this is the X-wing with lasers. What is that looming before you? Yes, the Death Star, watch out, it too has lasers. This is an aerial battle game of laser tag. The Death Star flies autonomously, shooting at you as you try to lock on for the kills. Three hits wins the battle. Air Hogs also has the TIE Fighter that can join in on the fun. Continuing with the franchise favorites, who would’t ant to pilot the U.S.S. Enterprise? NCC-1701A of the Star Trek fleet has a cool dock, surprisingly accurate design and lots of cool lights and sounds. 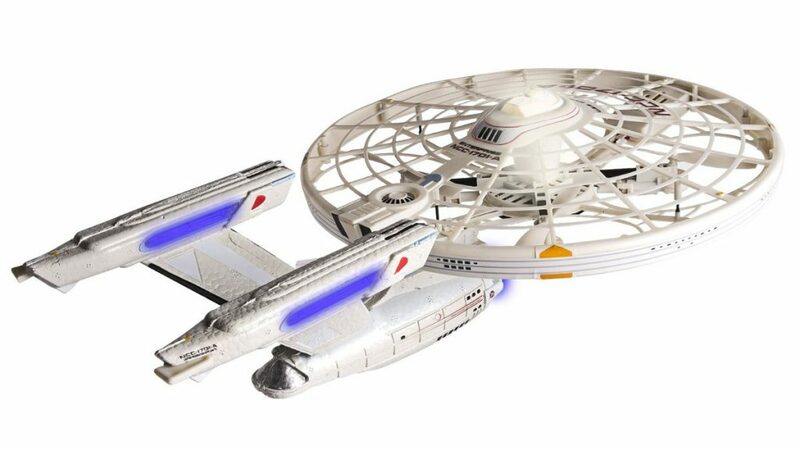 Fly the Star Trek Enterprise for $34 on Amazon today. The fun continues with Batman. This one is more of an RC plane than a drone, as we call them, but it’s still a fun toy to boot around the living room, stamping out crime. 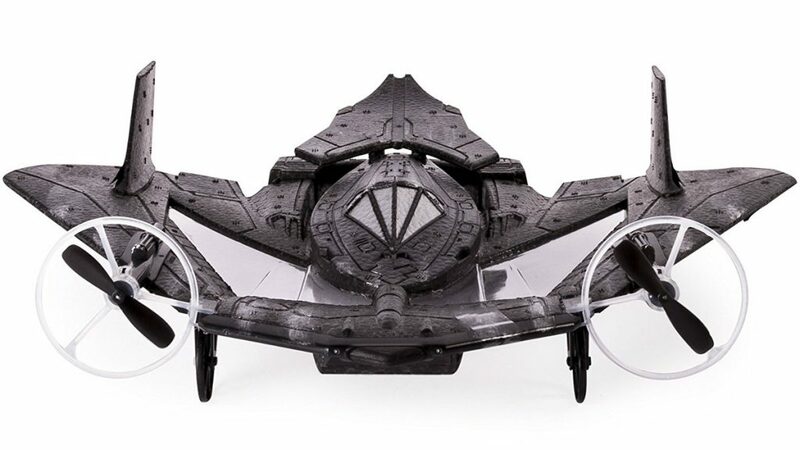 Don your black mask and protect Gotham with the Batwing for $35 on Amazon today. Allow me to squeeze this in here. 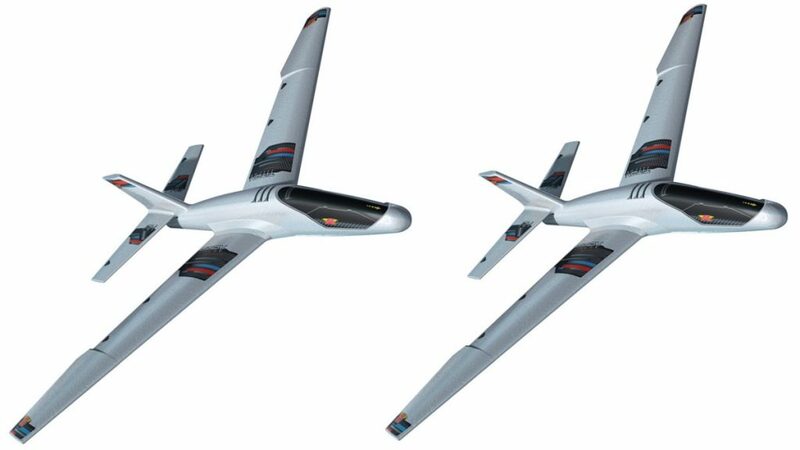 The Titan is not a powered machine, it is just a big foam glider. These are tons of fun for children, or for those of us that want to play with little rockets. Truth is, this craft is large enough that you can cut and carve out the right bits to install the electronics for an RC plane. This particular model is on the pricey side, you can usually find a really cheap alternative for $10-$20 at your local toy store. That said, check out the Air Hogs Titan for $60 on Amazon today. Points for creativity, Air Hogs added a propeller to a three bladed boomerang. I would have loved this as a child. The propeller forces the boomerang to spin fast enough that it can maintain flight. Precision is not the name of the game, but if this were a much larger and tougher machine, I’d be down at the park now giving it a try. 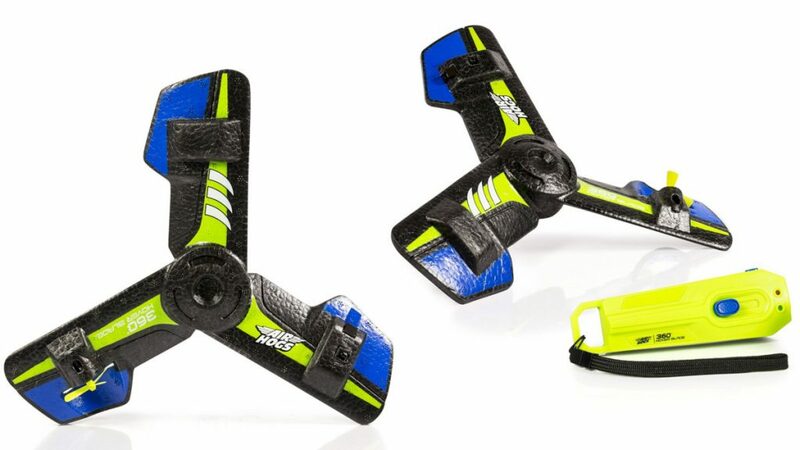 Check out the 360 Hoverblade for $27 on Amazon today. Often sold for $18, watch for sales. For the budding drone racer in your family, the DR12 FPV Race Drone is a simple entry into the high speed sport. The FPV goggles require your smartphone as the display, and the camera on the drone will never snap printable images, but the concept is solid. Please don’t consider this an entry to our Best racing drones lists, it’s not really even a trainer, it’s just a fun teaser of the sport. 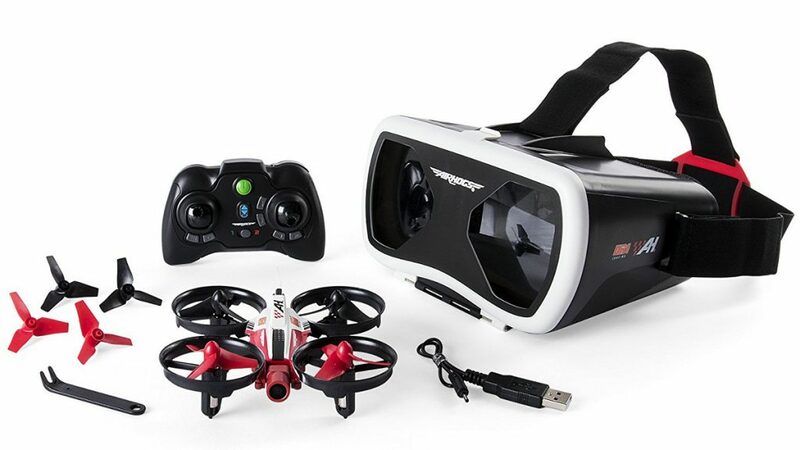 Check out the DR1 FPV Race Drone for $43 on Amazon today. Be sure to hit the comments below to let us know your favorite drone from the extensive Air Hogs lineup. Before you leave, check out this fun Spin Masters Air Hogs project I helped film as Joshua Vergara piloted at CES 2016.